Galway's injury concerns for the Leinster Championship are mounting after Conor Cooney was forced off in a club game at the weekend. The 2017 All-Star left on crutches and wearing a protective boot yesterday after injuring his ankle in St Thomas' opening-round defeat to Liam Mellows in the Galway SHC. A club member told RTÉ Sport that Cooney had twisted his ankle upon contesting a high ball with around 10 minutes to play and was treated on the field for suspected ligament damage. The full-forward will undergo a scan today to determine the severity of the injury but initial signs are that it might a lower grade sprain rather than a tear. Tribes manager Micheál Donogue is already dealing with the loss of talisman Joe Canning to groin surgery and young wing-back Fintan Burke to a cruciate ligament injury. Burke is out for the season while Canning is expected to miss the entire provincial campaign. It is unclear whether attackers Joseph Cooney and Johnny Glynn will be home from Australia and New York respectively after being absent for the Allianz Hurling League. 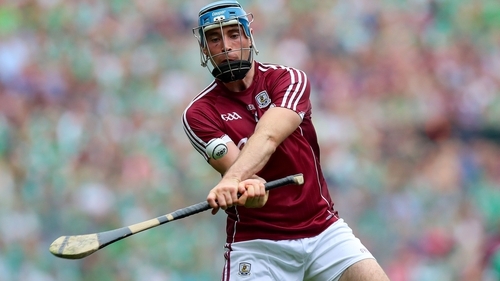 Galway's provincial rivals Kilkenny are not without their own injury worries. Four-time All-Star Richie Hogan, who played little part in the League, left the field 22 minutes into Danesfort's Kilkenny Senior Hurling League encounter with Castlecomer on Sunday. The 30-year-old has been dealing a with back problem in recent seasons. Midfielder James Maher is already expected to miss Kilkenny's Leinster schedule after breaking his ankle while wing-back Cillian Buckley could be on the sidelines for the entire season following knee surgery.